There are two main techniques by which children learn to read. The first is one which anyone who learned to read before the 1970s will be most familiar with - 'sight reading'. 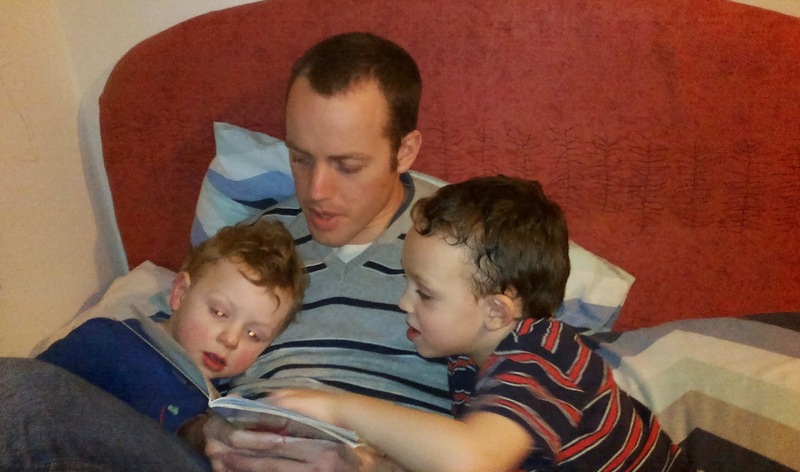 This is the technique by which children acquire reading skills by, for example, being read to by an adult who is running their finger along under the word. The child starts to assign meaning to the shape of the whole word by seeing it at the same time as hearing it, or by looking at books with the word under a picture e.g. first alphabet books with 'A is for apple' and so on. The second technique familiar to younger generations is that of 'synthetic phonics', where letters are pronounced as letter sounds 'a' for example is 'ah' not 'ay' and children are taught to 'sound out' as they go 'cuh, ah, tuh says cat' and then progress to learning combined sounds for example 'tuh and huh says thu' (I haven't written this quite correctly as the long 'tuh' pronunciation isn't used, it is a much shorter sound, but I use it here so you don't read it as 'tee'). This is useful for basic words and for teaching in large groups, and has fans and critics in almost equal measure. The critics have a point in that English is a largely non-phonetic language - consider for example the pronunciations of the 'ough' combination of letters: 'dough' (dohw), 'tough' (tuff) and many others. Phonics is generally useful however, and this is the method by which school children are taught to start with. Even if phonics is used early on, at some point children need to move on to sight reading, for the sake of speed and the comprehension of a text that can only come with a fluid pace of reading. The first words which children need to learn to sight read are generally what are known as 'high frequency words', i.e. those that crop up over and over again, and which often also fall into the category of 'tricky words' because they are hard to sound out phonetically. The word 'the' is a perfect example. Pure repetition is generally the way these words are learned, which can often be very time consuming and if done through pages of the same word written over and over, or through flashcards, is disengaging to young readers through it's sheer boredom factor. This is where a former teachers great company Love2Read comes in with an ideal solution. By choosing from a variety of topics such as 'I love...', inserting your own family photos and writing a short line of text below the photos, children have their very own reading book which they will come back to time and time again because the topic material is personal to them. They are able to link the written words to the images they love, and repetition of such a book is a joy rather than a bore. 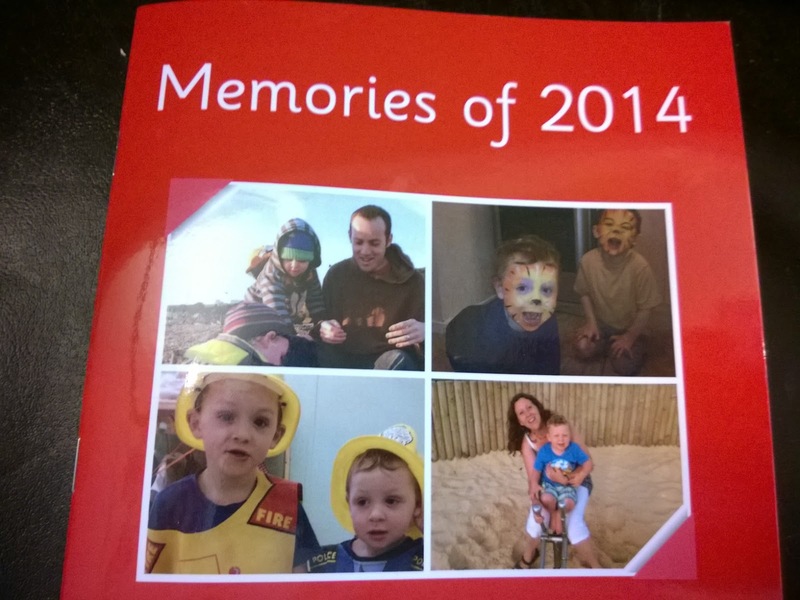 We chose the title 'memories of 2014' but there was a wide range of other ideas, such as producing a book about a family member, or a holiday, or your own creation entirely. The website was really simple to use and gave clear instructions for each easy step. The amount of text you can write beneath each picture is quite limited, which is perfect because it keeps you on track in making simple descriptions to assist you child's reading, rather than getting carried away and producing an essay. When the book arrived we were really pleased with the good quality glossy finish and the size, which was ideal for small hands but large enough to be able to clearly see the text and pictures. 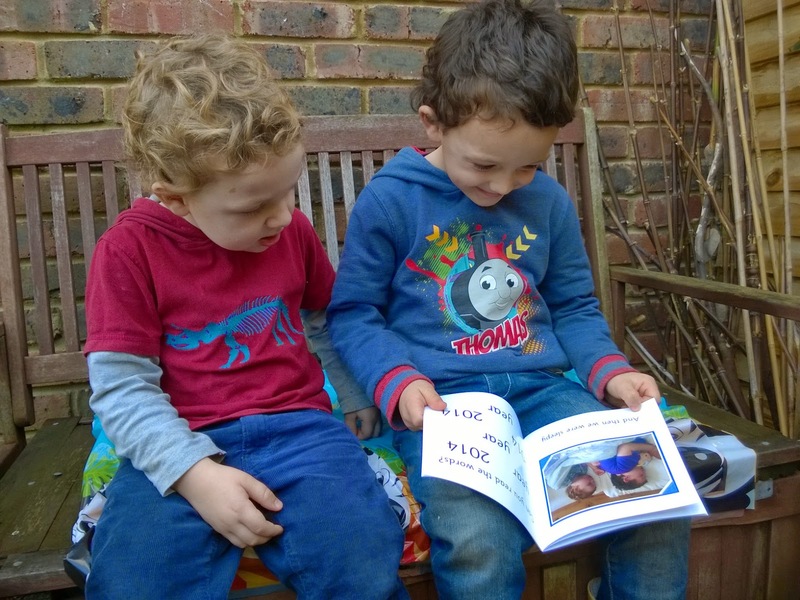 The boys were hugely excited to see themselves in print in a real book just for them, and especially so as it coincidentally arrived just in time for Ollie's 5th birthday. As well as being a wonderful gift to produce yourself, you can even buy gift vouchers to give an opportunity to someone special in your life to make their own book. I have no doubt that this resource is going to contribute greatly to our learning adventure, as well as being a lovely reference to help remember this time in our lives. 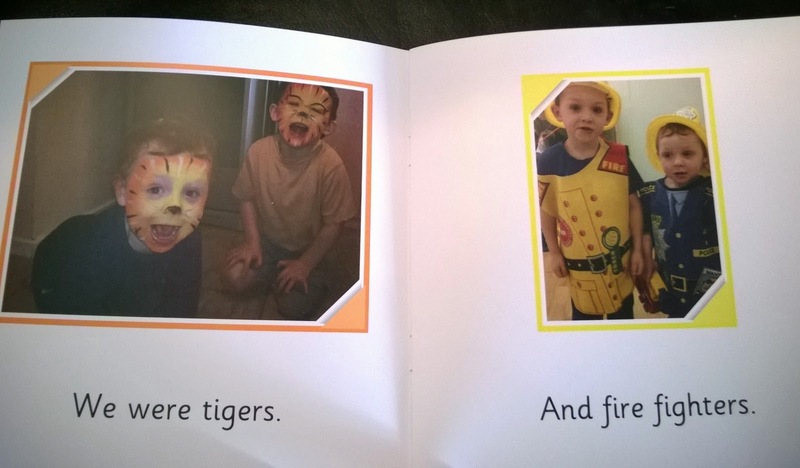 Note: this post includes a review of Love2Read and their lovely book, which we received for free in order to review it, but opinions given and cheeky Tigers are all my own.